The finest Grand Mayne to date, this is a wine of majestic weight, richness, and volume. 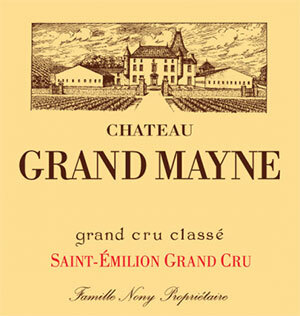 The most concentrated and powerful Grand Mayne yet produced, its saturated purple color is accompanied by a phenomenal nose of licorice, smoke, graphite, and cassis aromas (reminiscent of dry vintage port). This huge, massive effort is low in acidity, highly extracted, with an unctuous texture, gobs of glycerin, and a multidimensional, chewy, long finish. A dazzling wine, it is undoubtedly a sleeper of the vintage. Anticipated maturity: 2003-2020.